Last Sunday, went to Boulevard with Cherry and friend. In fact, we went there just because Cherry wanted to buy a pair of new sandals. You have seen Boulevard in Christmas decoration. 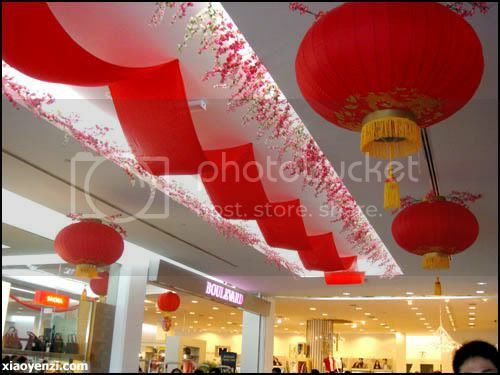 Now, let me present to you – Boulevard in Chinese New Year decoration. Somehow regretted I didn’t take any pictures to produce a “before and after” effect. Was not into blogging back then. 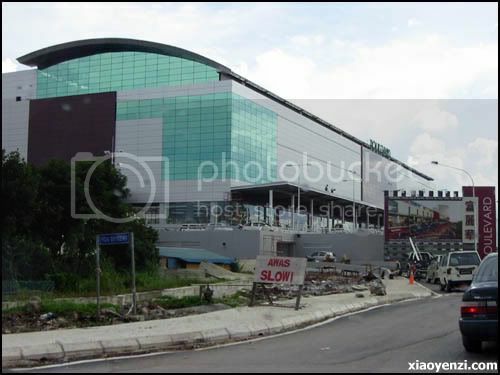 I’m talking about the going-to-be-open-really-soon new shopping mall in Kuching, called The Spring. 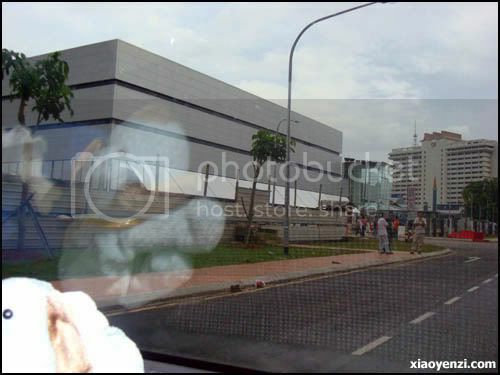 Right after the “rush opening” of Boulevard Kuching, The Spring is catching up. According to headsteadi, The Spring was expected to be ready in November 2007, however, it didn’t! I was taking this picture while I was driving – dangerous act, please don’t follow. By that time, “The Spring” sign is not up yet. And don’t mind the reflection of the “dog”. Boulevard is a new shopping mall in Kuching. 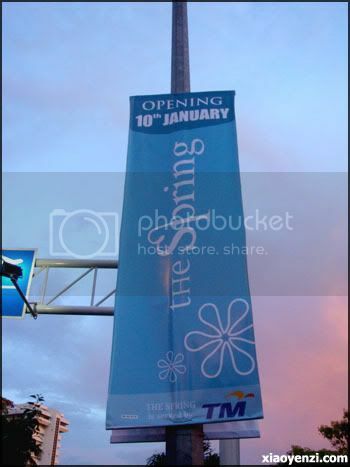 It was said to be open in 19th December 2007. However, due to some reasons, possibly bad weather condition, the development process has extended and it is said this coming Saturday, 22nd December 2007, will be Boulevard’s official launching.